One of the most important cities of Costa Rica, Alajuela is an exciting place to live, both in terms of business and leisure. 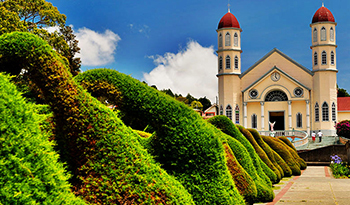 The city of Alajuela shares its name with the province in which it is located, and functions as the capital of the province. Alajuela is located just 20 kilometers northwest of San Jose, is home to The Juan Santamaría International Airport, and has a population of 237,966 people. In terms of development, Alajuela is the second largest city in Costa Rica. Alajuela’s weather changes very little from month to month, and the city enjoys termperatures averaging between 73.4 – 78.8 degrees Fahrenheit year round. Humidity rarely surpasses 20%, making Alajuela’s weather idyllic nearly every day. Although Alajuela is popular with expats, more and more Costa Ricans seem to be calling Alajuela home. The main attraction for residents include the weather, the central location, the ease of transportation in and around Alajuela (Alajuela has one of the best public transportation systems in the country), and the industry and business opportunities found in Alajuela. 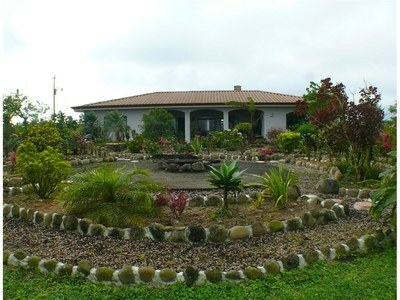 Land prices in Alajuela vary drastically depending on the zone. Commercial property is abundant in Alajuela, and the most expensive parcels tend to be near the airport.